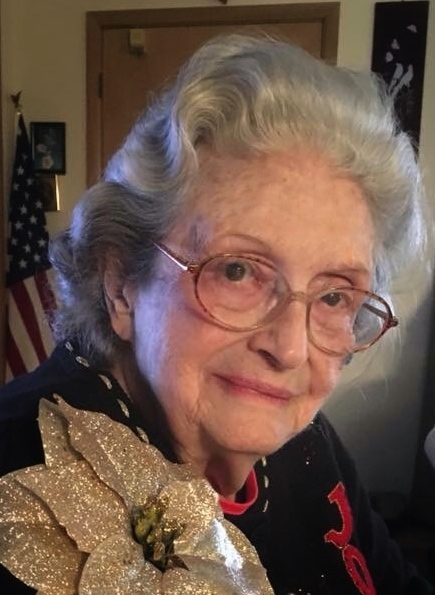 Dixie Lee (Drennen) Brookover, 87, passed October 18, 2018. Dixie was born May 4, 1931 in Kansas City, MO and raised outside of Wakenda, MO by her grandmother Cora with her only sister Barbara. She was preceded in death by her husband Calvin Wesley Brookover and her only son Teddy Brookover. Survivors include daughters Carol Brookover and Julie Brookover; grandchildren Raymond Swanstone and his wife Sarah, and Jason Swanstone and his wife Nicole; and great grandchildren Calvin and Ava. She is also survived by Jennifer Brookover and Donald Swanstone. Funeral services will be 2PM, Tuesday, October 23 at Park Lawn, 8251 Hillcrest Rd. In lieu of flowers, memorial contributions may be made to the American Cancer Society. We mourn your loss, however Calvin and Teddy await your arrival with open arms to join them in Heaven.